This is a comprehensive workshop for elementary, middle school, junior high, and high school instrumental music teachers. The Complete Band Director Workshop is an opportunity to earn two graduate credits in only three and a half days! To meet the challenge of establishing a well-balanced instrumental music program, we need to expose our students to a variety of instructional and performance opportunities. For the first-year teacher to the seasoned pro, this workshop is designed to enhance the positive experiences of dealing with the concert band, marching band and jazz band. -Special appearances by noted music educators FRANK TRACZ (rehearsal techniques) andJOSEPH PISANO (innovative technology). -An opportunity to earn two graduate credits in only three and a half days! Workshop credit may be applied to our summers-only master’s degree in music education with instrumental emphasis. -Sponsored by Capital University’s Conservatory of Music and Stanton’s Sheet Music. 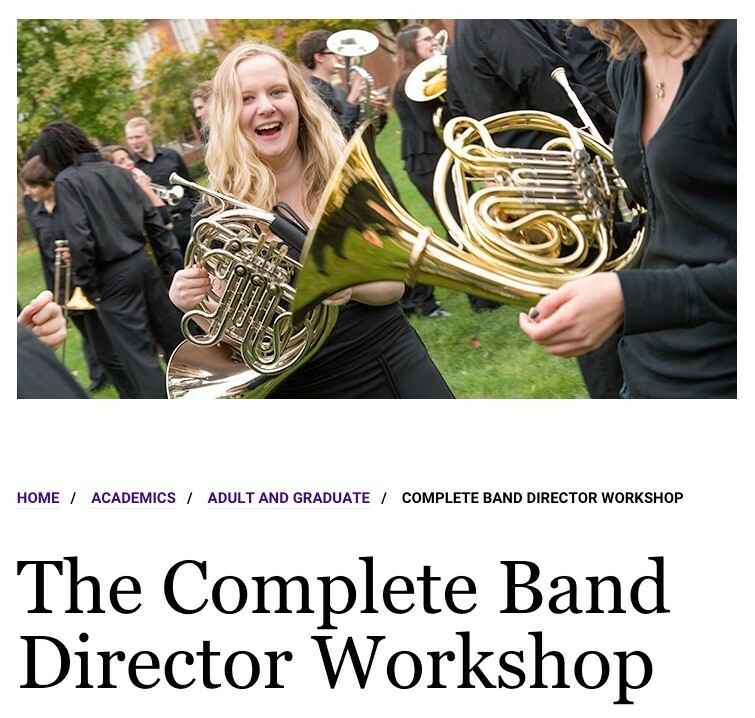 If you are interested in more information you may find it here: http://www.capital.edu/The-Complete-Band-Director-Workshop/ As always, I will be posting the information from my clinics right here at MusTech.Net after the clinics are finished.